Kawasaki disease (KD) is an acute vasculitis of childhood that predominantly affects the coronary arteries. We investigated single nucleotide polymorphisms (SNPs) of the tryptophan hydroxylase 2 (TPH2) gene as risk factors for KD with coronary artery lesions (CALs) in Korean children. We genotyped two SNPs [rs7305115 (exon 7) and rs4290270 (exon 9)] using direct sequencing in 101 KD and 256 control subjects. To analyze the genetic data, SNPStats, SNPAnalyzer, and Helixtree programs were used. The genotype analysis of rs7305115 and rs4290270 showed no significant differences between KD and control groups. However, we found a statistically significant association between the two SNPs and the development of CALs in KD (p < 0.05). The minor homozygous genotype (rs7305115, AA genotype and rs42901270, AA genotype) of each SNP showed increased susceptibility to risk of CALs in KD patients. 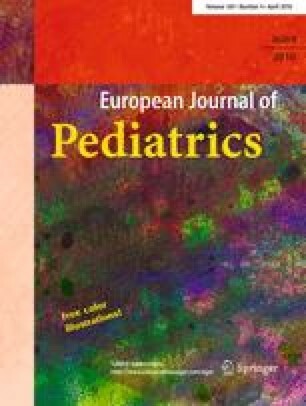 These results suggest that TPH2 may be associated with the development of KD with CALs in Korean children.